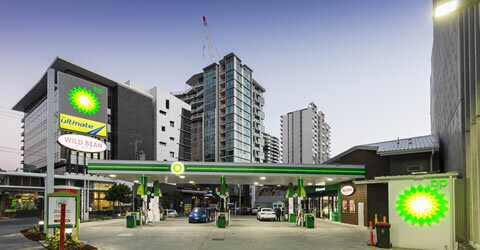 This project was a design & construct of a BP Service Station on the corner of Commercial Road and Doggett Street in the thriving precinct of Newstead. 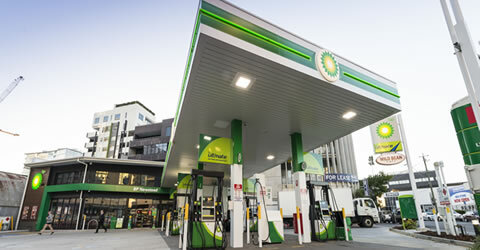 The works involved a complete demolition of the existing service station and forecourt, whilst retaining the existing forecourt canopy, LPG tanks and fuel tanks. 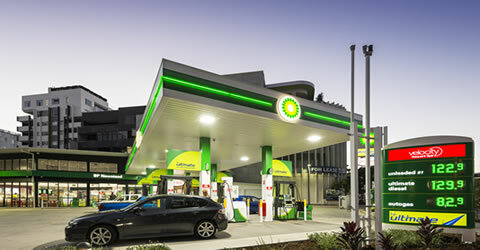 Following the demolition, works included the design and construction of a split-level pre-cast BP Service Station, as well as a refurbishment and extension of the existing forecourt canopy. 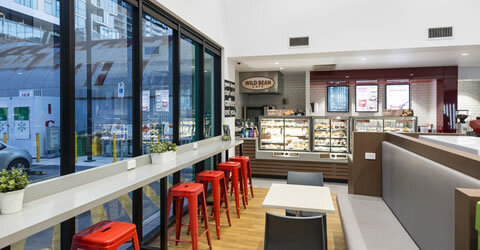 Internal works encompassed a retail fit out and an upgrade to pre-existing fuel services, switch boards and control systems. Additionally, service works undertaken included the installation of all new fuel electrics and plumbing works to the site. Installation of a new civil storm water system (SPEL Puraceptor) was also required, alongside a new trade waste system with grease trap.